A tour to explore the treasures of the Royal Palace of Sintra, as well as the main tourist attractions of Lisbon's historic centre. 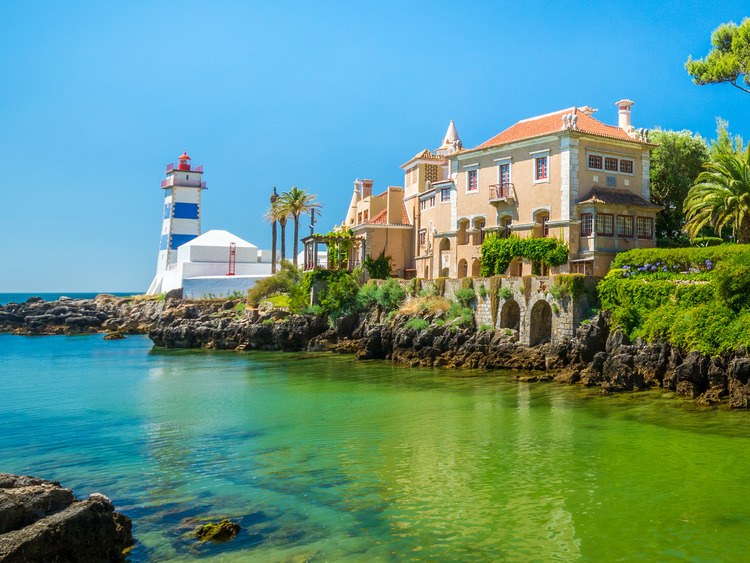 From Lisbon we will head towards the famous town of Cascais, near Estoril, once a simple fishing village and nowadays a fashionable seaside resort. Once in Cascais, we will stroll through the alleys and streets and admire the charm of the old quarter, we will breathe the antique atmosphere. We then move on to Sintra, referred to by the great English poet Lord Byron as a "glorious Eden", and visit its Royal Palace, the historic summer residence of the Portuguese royal family. During the visit we have some free time for shopping. We then return to Lisbon, a city of contrasts with both modern and classic architecture. Lisbon is bathed in extraordinary light that accentuates the variety and intensity of its colours, and is brimming with unmissable sights: Praça do Comércio, considered by many to be the most beautiful square in Europe; the Rossio, the name commonly given to Dom Pedro IV Square, the beating heart of the city from where all the main streets fan out; Praça dos Restauradores, the square created to commemorate the liberation of Portugal from Spanish rule in 1640, featuring an obelisk on which the dates of the Portuguese Restoration are marked; Avenida da Liberdade, considered to be the most luxurious street in Lisbon, with its fountains and the abstract designs on its pavements, where once only members of high society were permitted to walk; and Parque Eduardo VII, one of the city's largest green spaces, which was created in the late 19th century and named after the British King, Edward VII. We then stop in the Belém district and the residential area of Restelo, where we visit the Jerónimos Monastery Church. The tour ends with a panoramic drive to the Belém Tower and the Monument to the Discoveries, followed by some leisure time in Rossio, before the retunr to the pier. On Mondays and Sunday mornings the church is closed therefore the visit will be only from outside.